Inning 2: Support Smarter Play – Always wear protective equipment and, even in the dugout, keep your eyes on the ball at all times. If a concussion or other serious brain/head injury is suspected, stopping playing ball and seek medical attention immediately. Inning 3: Find the Right Helmet Size – Proper fit is crucial. Head size should be measured by wrapping a soft tape measure around the head, just above the eyebrows and ears. The tape measure should be level from front to back. Inning 4: Get a Good Helmet Fit – The helmet should fit snug, but not too tight. It is important to note that a batter’s helmet is not the same as a catcher’s helmet and athletes should never wear anything under their helmet, including a baseball cap. Inning 5: Check the Helmet Coverage – A helmet should not sit too high or low on his or her head. To check a batter’s helmet, make sure the ear holes line up with the athlete’s ears. To check a catcher’s helmet, make sure the catcher’s mask rests flat on the front of the catcher’s helmet. Inning 6: Ensure Good Vision – The athlete should be able to see straight forward and side-to-side while wearing the helmet. Inning 7: Care for the Helmet – Do not wear a cracked or otherwise damaged helmet or one that is missing padding. Do not alter the helmet in anyway. Inning 8: Look for Labels – Carefully follow manufacturer instructions on the label. Check the label for safety certification. Inning 9: When to Replace a Helmet – Follow all instructions on the helmet’s label regarding replacement and recalls. Click here for more information on becoming a brain safety MVP. 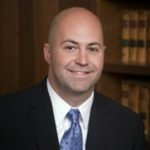 Mark Bello has thirty-six years experience as a trial lawyer and fourteen years as an underwriter and situational analyst in the lawsuit funding industry. He is the owner and founder of Lawsuit Financial Corporation which helps provide cash flow solutions and consulting when necessities of life litigation funding is needed by a plaintiff involved in pending, personal injury, litigation. Bello is a Justice Pac member of the American Association for Justice, Sustaining and Justice Pac member of the Michigan Association for Justice, Member of Public Justice, Public Citizen, the American Bar Association, the State Bar of Michigan and the Injury Board. These 9 tips are perfect for players to remain safe and having the right baseball helmet is the first step. Great share of information!